Courtney Coaches Fleet List: KX58 BGY is B27F. Thanks to Ian Mihell for this. ected to enter service tomorrow. Thanks to Chris Maxfield for this. 22771/8 were delivered to Oxford today. Stagecoach in Warwickshire Fleet List: 33351 has transferred from Rugby to Stratford, and has lost its branding for route 4. Thanks to Keith Wood for this. Reading Transport Optare Deltas: Former 509 now with Islwyn Borough Transport is being stripped for spares. Thanks to Andy Barlow for this. Reading Transport Fleet List: 1006 has been repainted into silver/red rural livery from dark green. Stagecoach in Oxfordshire Fleet List: 52424 returned from conversion into a mobile classroom and driver training vehicle on 17th, and now has 4 coach seats at the front, followed by two rows of tables with 4 bus seats on each side, then an open classroom area for ordinary furniture and a presentation screen at the rear. Reading Transport Fleet List: 1025 has been repainted into red quality travel livery from maroon. Thanks to Stuart Curwen for this. 1024 has also returned to service following its repaint. Reading Transport Former Vehicle Fleet List: Additional demonstrators ARY 225K and NVP 533M added to the list. Thanks to Alan Murray-Rust for this. Reading Transport Optare Deltas: Former 514 has now entered service with Ritchies, New Zealand registered EKU 337. Thanks to Buses magazine for this. Countywide Travel Fleet List: The new Versas are numbered 64/5. Thanks to Phil Swann for this. Stagecoach in Oxfordshire Fleet List: 22770 arrived at Oxford today. Weavaway Travel Fleet List: CW54/56 TOP still retain these registrations at present. Thanks to Derek Bradfield for this. YJ51 EKK has been advertised for sale in the trade press. First Berkshire Fleet List: Dennis Tridents 32902/3 transferred from London to Berkshire yesterday with 32900/1 also expected. Thanks to Keith Nason for this. They will enter service on the 194 Monday - Friday and Legoland shuttles at the weekends in London condition, but hopefully with LED destination displays, and will gradually be refurbished and repainted. Thanks Mat Wooll for this. 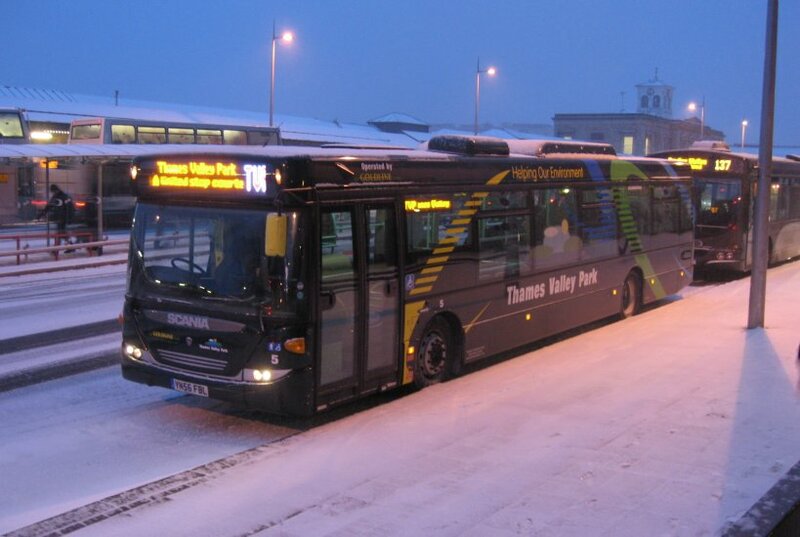 Weavaway Travel Fleet List: YN06 CYX has been sold to Hornsby Travel and was due to be collected yesterday. Thanks to Derek Bradfield for this. CW54 TOP appears to have been reregistered back to WA06 GSU, and CW56 TOP to WA56 ENW and have been advertised for sale again in the trade press along with WA06 GSV and WA56 ENV. First Berkshire Fleet List: 41257 went to Harris Paints on 14th January pending transfer to Berkshire, arrived in Slough on 10th February and finally at its final home of Bracknell on 13th. 41259 returned from Slough to London on 16th. 60754 transferred from Slough to Bracknell on 30th December following MOT work. Thanks to Mat Wooll for this. Stagecoach in Oxfordshire Fleet List: The first of 11 new MAN A69 / Alexander Dennis Enviro 300s arrived at Oxford today registered OU58 GKC. It is thought to be number 22769. Their entry into service will trigger a cascade of vehicles to allow the withdrawal of 16523-5, 20004-6, 20012, 20228/543 and two MAN / Alexander ALX300s, with 42383 and a Volvo B6s going into reserve. This will leave Oxfordshire the first Stagecoach division with an entirely low floor fleet. Recent repaint 22938 received updated branding for route 3 today. Similar 22935/7 have also been repainted and are waiting to be rebranded. 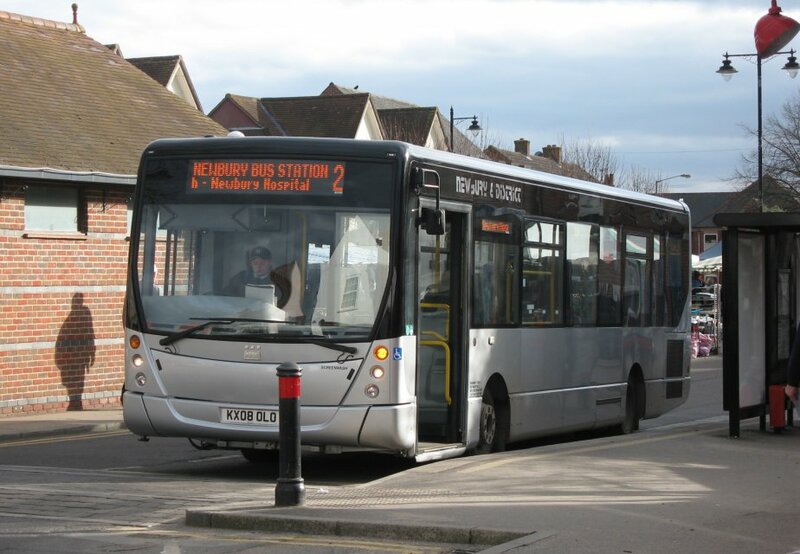 Countywide Travel Fleet List: The second Optare Versa is MX58 KZC. Thanks to Derek Bradfield for this. Countywide Travel Fleet List: New and in service today is Optare Versa MX58 KZD, one of two on order. Thanks to Derek Bradfield for this. Reading Transport Fleet List: Demonstrator YR58 SUA was in use on Vodafone services V3 and V10 today. Thanks to Richard Aldous for this. 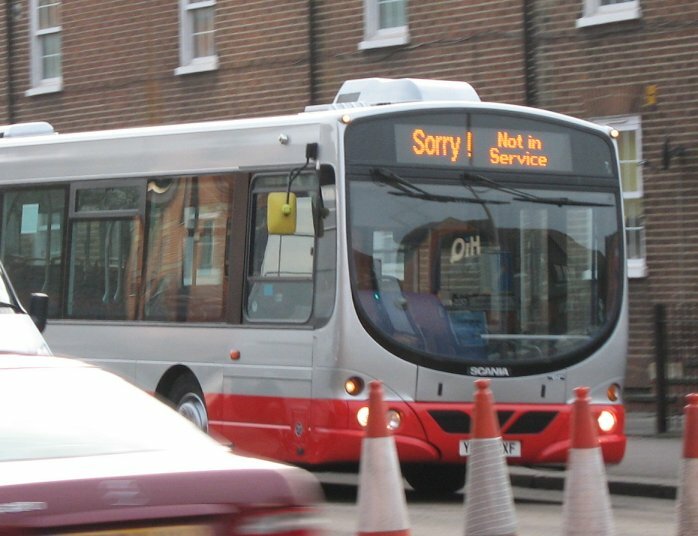 Reading Transport Fleet List: 472 has lost its MegaRear for Fiat in favour of fleet livery. The MegaPanel on 962 is for TVU (male student), whilst 964 also has a new MegaPanel for TVU (female student). 214 returned from loan to Stewarts of Mortimer on 29th. Thanks to Brian Coney for this. Stagecoach in Oxfordshire Fleet List: New is Ford Transit 95178. Meanwhile 91642 was withdrawn nearly a year ago. 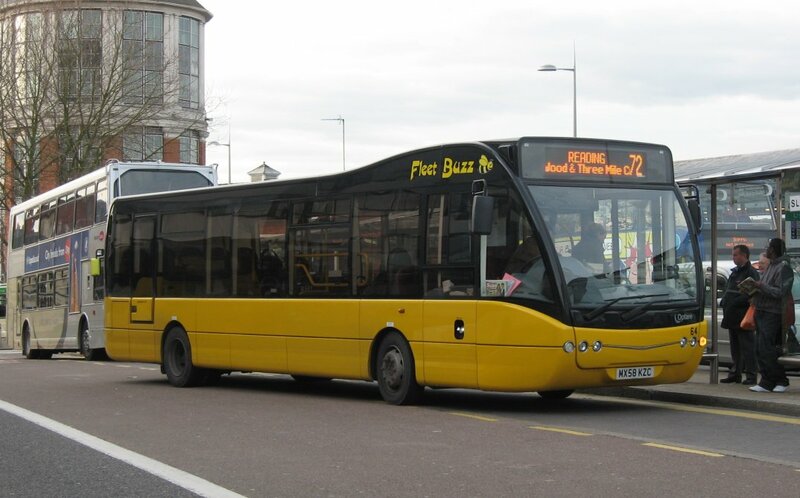 Reading Transport Fleet List: 102 has been sold to Choice Travel, Stoke-on-Trent. 111 is in reserve at Reading along with 109. Demonstrator YR58 SUA is B54F and arrived on 22nd. 234 was officially withdrawn in December, and will shortly depart for new owners RB Travel, Kettering where it will join former 238. Thanks to Brian Coney for this. 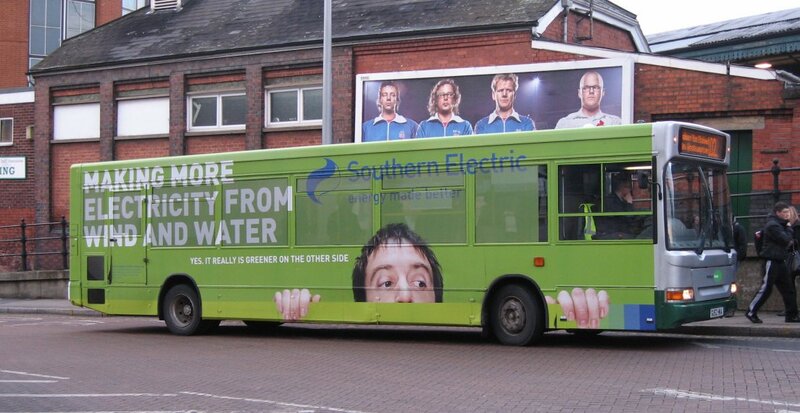 Reading Transport MegaPanels: 962 had received a new MegaPanel advert by 30th, but the sponsor is not yet reported. Thanks to Brian Coney for this. Reading Transport Optare Excels: Former 932-6 entered service with Blackpool Transport on 26th following refurbishment. Thanks to Paul Turner for this. Reading Transport Optare Spectras: Former 736 passed from Ensignbus to Mass Transit, Sheffield during January. 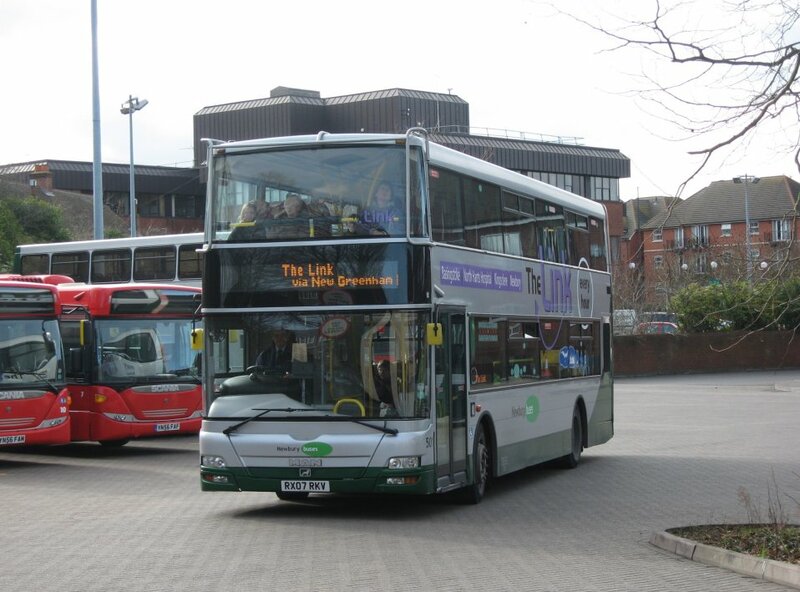 First Berkshire Fleet List: 60754 returned to Bracknell from loan to Slough in December. 41257 is thought to be an impending permanent transfer from London. Two of the batch 20366/67/69/72-4 are expected to leave the fleet shortly following the arrival of the Geminis and a program of chassis work on the Scanias. Thanks to Brian Coney for this. Reading Transport Fleet List: 1023 has been repainted into red quality travel livery from maroon. Similar 1024 is now away for repaint. 234 has been sold and is awaiting collection from Great Knollys Street. 473 and 475 had lost their MegaRears in favour of fleet livery by 27th. The similar rears on 471/6 were still present on that day. Stagecoach in Oxfordshire Fleet List: Witney 18128/30/32/33/36/37 and 18393/4/7 received branding for routes S1/S2 on 24th, 25th and 26th. 15434 received branding for route S3 on or around 26th. 18134 will be branded for S1/S2 and 18399 for S5 in a couple of weeks time. Stagecoach in Warwickshire Fleet List: Leamington 20220/20808, Rugby 33351/5 and Stratford 20223, 32001, 32629/30 have gone into reserve. 34398 has transferred from Rugby to Nuneaton and 47026 from Nuneaton to Stratford. Meanwhile 52622 is also in reserve following an engine failure.